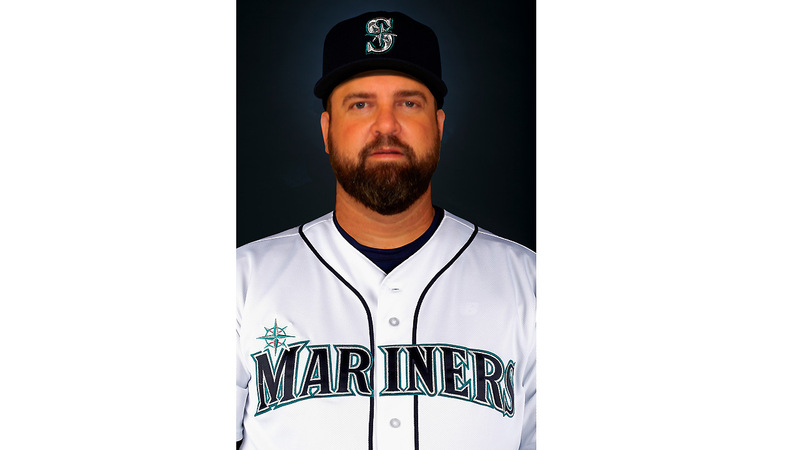 SEATTLE — Mariners manager Scott Servais completed his Major League staff on Monday by naming Brian DeLunas the bullpen coach for the upcoming season. DeLunas, who has been working for the past six months as the director of pitching development at CSE Talent in St. Louis, will be joining a big league staff for the first time after working in the college and high school ranks, though he has privately coached a number of Major Leaguers. DeLunas takes over a position that was filled for the second half of last season by interim coach Nasusel Cabrera, who stepped in after Mike Hampton resigned as bullpen coach at the All-Star break. Cabrera will return to his previous position as a batting-practice pitcher. DeLunas worked as the pitching coordinator for the St. Louis Pirates, a top select high school program in the Midwest, from 2009-14 and was the pitching coach at Christian Brothers College Prep from 2010-11. Prior to that, he was the pitching coach for the Duluth Huskies, a college summer-league team in Minnesota, and a volunteer assistant at the University of Missouri. He then co-founded a program called Premier Pitching and Performance (P3) in St. Louis which combined the services of a physical therapist and a massage therapist along with advanced 3D analysis and technologies. “We view Brian as a connector,” general manager Jerry Dipoto said. “Taking the bio-mechanical view of a pitcher, connecting with the analytical view, connecting again with the emotional and psychological angle and then how to reach players in today’s times. With DeLunas’ addition, Servais’ staff is now complete and also includes newcomer Jim Brower — the former Minor League pitching coordinator for the Cubs — as an assistant coach. Manny Acta has been promoted to bench coach, replacing Tim Bogar, and quality control coach Chris Prieto was promoted to first-base coach. Scott Brosius, who was an assistant coach last year, moves into Acta’s role as third-base coach, while Edgar Martinez returns as hitting coach and Mel Stottlemyre Jr. remains as the pitching coach. The addition of Brower, as well as DeLunas now stepping in as bullpen coach, provides an extra person to focus on pitching.